Elizabeth Prendiville of Saffronart on the continual legacy and evolution of Gond Folk Art. New York: The Gond tribe, one of the largest communities in India, is well known for utilizing song, dance, and arts both in times of mourning and immense celebration. There are deep seeded traditions in artistic festivals and various techniques in visual and performing arts. These include a strong attention to color and details in painting. In the 1980’s many of these artistic traditions were diluted by many of the men in these communities moving towards cities and larger areas of commerce for greater work opportunities. However, this movement for business also prompted folk traditions to be brought into the city centers. This wealth of tribal art brought into the cities prompted the Director of Bharat Bhawan, the multi-genre arts complex in Bhopal to construct the tribal art wing. With an established space for exhibiting tribal and folk work, artists in this tradition were fostered and their work became more successful. 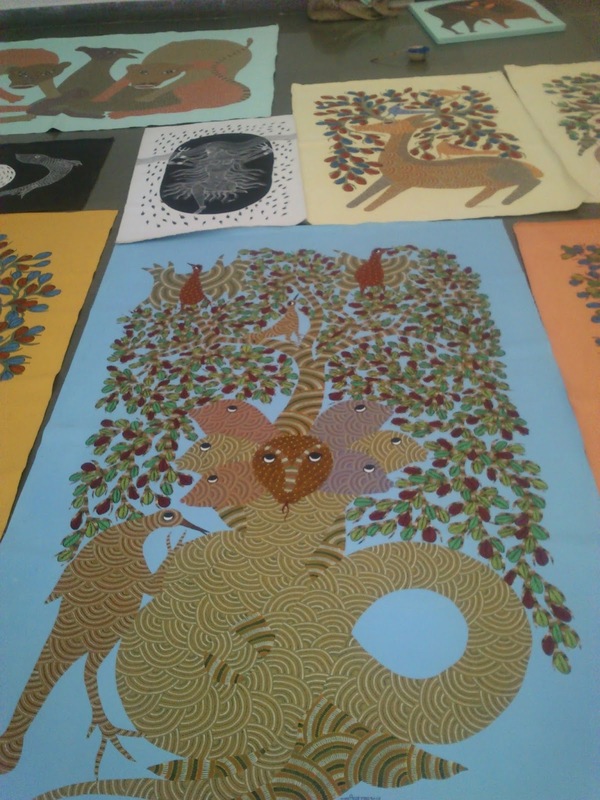 Artist Jangar Sing Shyam was the first Gond artist to use paper and canvas for his paintings. The Bharat Bhawan became a jump off for Shyam’s work being shown throughout India as well as internationally. Tragically Shyam took his own life while working in Japan. Details as to why he chose to end his life so young in his successful career are still unclear. He is survived by his wife Nankusia Shyam who’s creativity was immensely sparked by her husband’s art career. Since his passing she has used painting as a way to carry on his memory and remain connected to him. 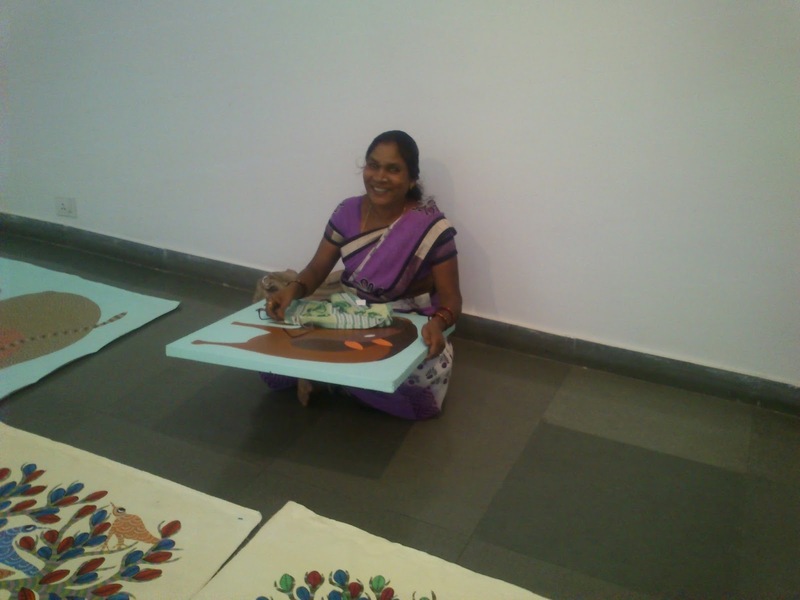 While many artists have utilized his passing as a means to promote their own tribal art, Nankusia has been motivated to establish her family as the primary practitioners of true Gond art in the tradition of her husband. Overtime Ms. Shyam’s work has gained confidence and she has truly defined her own independent style and aesthetic. Her work exhibits a strong narrative by utilizing fantastical elements such as mythical animals. In addition to his wife’s artistic practice, Jangarh Singh Shyam integrated his style into the community through an apprenticeship program while he was still alive. 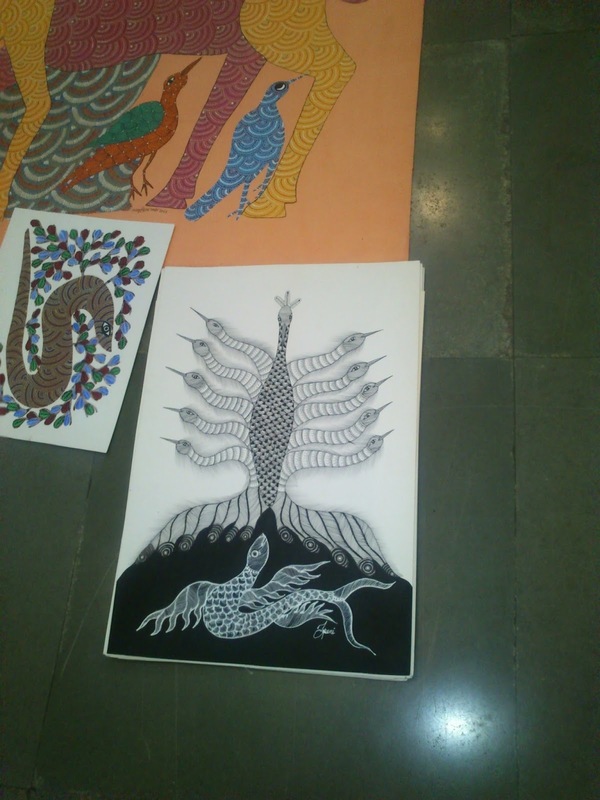 This has fostered a robust community of Gond artists in the tradition that is now termed “Jangarh Kalam”. Through the creative passion of his family and community, Jangarh Singh Shyam’s work will forever be remembered.